Emerging Trends. IAC co organized India LPG Summit with Indian LPG Industry. IAC co-organized PetroSafe-2016 International conference on “Excellence in Hydrocarbon Safety” with PESO, National Safety Council and other PSUs on 21st and 22nd July 2016 at Jaipur. IAC was the main sponsor for the conference on “Need of Environmentally Sustainable Urban Transport System in India” on 2nd March 2016, at PHD House, New Delhi. 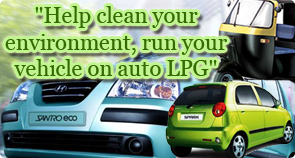 IAC commissioned a research study to prepare a roadmap for bringing Auto LPG as a mainstream automotive fuel in India. IAC organized a meeting in Nagpur on December 3, 2015 with the Chief Controller of Explosives and his team. The coalition’s Annual General Meeting was held on September 11, 2015 at Hotel Jaypee Vasant Continental, New Delhi. The coalition’s Executive Committee Meeting was held on September 11, 2015 at Hotel Jaypee Vasant Continental, New Delhi. IAC- ALPG Kit Industry dialogue was held on 3rd December 2015, which included participation of the office bearers of the Kit Industry Association as well as several other type approval holders. 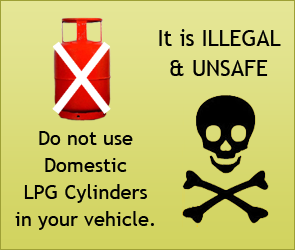 Your Coalition followed up on the issue of unreasonable harassment and penalization of both the PSU and Private Sector Auto LPG Marketers, particularly in a specific state. Subsequent to a proposal submitted by IAC to Ministry of Road Transport & Highways (MoRTH), your coalition was asked by Joint Secretary (MoRTH) to develop and run the project on a pilot basis. Sub Continent Regional Summit. Feb 16, 2012. WLPGA Sub Continent Regional Summit, New Delhi. Global Cylinder Network (GCN), Global Autogas Industry Network (GAIN) and GLOTEC Meetings. IAC's participation in Mumbai Marathon held in Jan 2011. Conference on Auto LPG,Promise for a Cleaner Air 2009. 7th All Stakeholder Meeting in New Delhi, inaugurated by Secretary, Union Ministry of Road Transport & Highways, Shri Brahm Dutt. It gives me great pleasure to inform you that our Coalition has been included as a member in the 'Central Motor Vehicles Rules-Technical Standing Committee' (CMVR-TSC) and in the 'Standing Committee on Emission Legislation' (SCOE).